For retail investors, ETFs are the best way to participate in the bond market because of their diversification, price transparency, ease of trading and relatively low cost. After 30 long years, the tide has finally turned for the bond market as central banks in Canada and the United States signal their intention to raise interest rates to more normal levels. But fears of a bond bear market may be overblown, especially in Canada, bond fund managers say. Bond markets already have discounted the central bank moves to some extent, so there's still money to be made in bond ETFs for investors who choose carefully, they argue. "We're definitely in a rising-rate environment but the market has already priced in a lot of the rate hikes," says Alfred Lee, director and portfolio manager at BMO Global Asset Management. "We can still see positive returns on bonds." For retail investors, ETFs are the best way to participate in the bond market because of their diversification, price transparency, ease of trading and relatively low cost. Before buying, though, it might be useful to step back and ask why you are holding bonds in the first place. Traditionally, investors have turned to bonds for stability. Investors looking for stability in bond ETFs today face a conundrum, notes Paul Sandhu, vice-president and portfolio manager at Marret Asset Management Inc. and manager of the top-ranked First Asset Investment Grade Bond ETF: The main reason to hold bonds is to buoy your portfolio when the stock market falls. Yet the only bonds with little or no positive correlation to the stock market are long-duration government bonds, the very ones that are most vulnerable to interest rate and inflation fears. Note that bond prices tend to fall when interest rates rise. Bond duration is a measure of how much bond prices could change if interest rates rise or fall. The longer the duration, the more sensitive the bond price is to rising (or falling) rates. "The next two years will be two of the most difficult for fixed-income managers in the last 20 years," Mr. Sandhu says. Adding to interest-rate, inflation and credit risks is increasing public-policy risk stemming from the political climate in the United States. For investors, it's important to be clear about the difference between core bond holdings and more tactical ETFs, Mr. Sandhu says. A core bond ETF is a long-term holding that provides income, lowers volatility and serves as a counterbalance to stock markets. Tactical ETFs tend to be designed to boost yields, provide monthly income or take advantage of changing circumstances. Because interest rates are so low, many investors have abandoned their core bond holdings for tactical funds. "The problem is those tactical funds tend to be positively correlated with other risk assets such as stocks," Mr. Sandhu says. That means when the stock side of your portfolio falls, the fixed-income side tends to fall, as well. Growing fears of bond-market carnage are likely overblown, fund managers say. Indeed, the benchmark U.S. Treasury yield has pulled back from its late January high of 2.95 per cent and is now in the range of 2.8 per cent, so bond prices have actually bounced a bit. Market watchers feared stocks, too, would plunge if the 10-year yield broke through the psychologically significant 3-per-cent barrier. "From our perspective, a lot of the [central bank] interest-rate hikes that are coming have already been priced into the market," says Steven Hawkins, president and co-CEO of Horizons ETFs Management (Canada) Inc. Still, investors are clearly nervous. In February, Horizon's strongest-selling ETF was the Horizons Active Floating Rate Bond ETF, which holds mainly low-duration [short-term] corporate bonds, Mr. Hawkins says. The ETF is yielding about 2.2 per cent after fees. The appeal of short-duration ETFs is that as the bonds mature, the money can be reinvested in newly issued securities at higher rates. "Volatility brings the spotlight back to fixed income," Mr. Hawkins says. "You need a manager who has an ear to the ground." The strategies the manager might use include going to cash, significantly adjusting duration quickly by going long or short treasury bill futures, interest-rate swaps and sometimes credit hedging, or swapping away credit risk for some version of government exposure, he says. Mr. Hawkins also draws a clear distinction between core and non-core fixed-income ETFs. Core is used to help stabilize a portfolio when stock markets are rocky. "You use non-core to generate alpha" – that is, generate returns over and above a benchmark. Although markets are nervous, investors need to have some perspective, Mr. Sandhu of Marret says. "We are not in a tightening cycle . . . We are in a normalization cycle. Interest rates were abnormally low." Central banks seem unclear about what the new normal should be, he adds. "Interest rates could go up, but they could also go down," Mr. Sandhu says. "We're going to have a period of interest-rate volatility. You need to be very clear about the kind of (ETF) that should be a core bond fund in a well-diversified portfolio." Other analysts agree the fear is overdone. "I hesitate to say the bull market is over," says BMO's Mr. Lee. While short-term rates are rising, looking further out "there's no sign of inflation, household debt is high, and the economy is recovering but it's not that strong," he points out. In addition, the economic cycle is well advanced. To achieve positive returns, "You need to be more thoughtful about where you allocate your cash in the fixed-income market," Mr. Lee says. BMO has both passive and actively managed ETFs and Mr. Lee believes both can have a place in portfolios. Looking back, it's not unusual for bonds to generate positive returns in a rising rate environment as long as the increases are gradual. Over the past couple of years, for example, long bonds actually outperformed because the yield curve flattened, Mr. Lee says. "Rates went down on the long end of the curve." 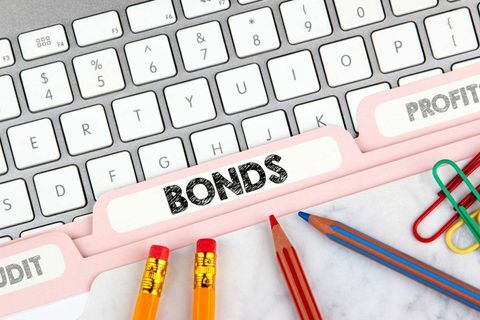 A core bond portfolio, such as a broad-based ETF, should still make up a large portion of the fixed-income side of your portfolio, Mr. Lee says. He thinks U.S. investment grade corporate bonds are a good diversifier. "They have industries we don't have here." Michael Cooke, vice-president and head of exchange-traded funds at Mackenzie Investments, also does not believe the interest-rate fears are justified. "Central banks are normalizing policy but not to the point where it would be damaging for the global economy," Mr. Cooke says. "My personal view is that this is a unique economic recovery. After the financial crisis (of 2008-2009), the recovery is more fragile so rates can stay lower for longer than people think." Regardless, bonds play an important strategic role in a portfolio, he says. "They provide income, they preserve capital, and in times of market distress the best performance comes from longer-duration government bonds," Mr. Cooke says. "Around that you can make tactical additions, such as floating-rate securities or global bonds." In the end, which ETFs you choose will depend on your desired outcome, Mr. Cooke says. "A healthy combination of both actively managed and passive may make sense from risk and cost point of view."